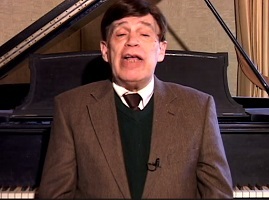 Do the music, books, and art we choose matter? Just as we preserve our natural treasures, our streams, lakes, forests, and national parks, we must preserve our cultural legacy. Otherwise the best of our culture will fade into an undeserved oblivion. Is choosing a book to read or a piece of music to hear no more important than expressing a preference for baseball or football, chocolate or vanilla, driving or flying? There is an major difference. These other choices may not impact our lives. But what we read, the music we hear, the art, motion pictures, and plays we see, all convey ideas. For the most gifted creators among us, throughout history and certainly today, the ideas they convey are often their most significant legacy. Especially for children, the earliest values they are taught will influence their perspectives as they grow to adulthood. Will they appreciate wisdom, beauty, and knowledge? Or will they fall prey to the onslaught of the pop culture which emphasizes notoriety, fame, celebrity, vulgarity, and peer pressure? If our finest music, books, art, plays, films, as well as our language and history are irretrievably lost, future generations will pay the price without ever realizing what they have missed. 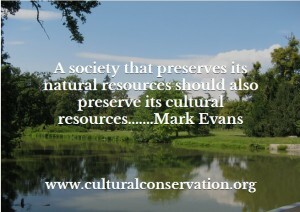 A society which preserves its natural resources, must also preserve its cultural resources which are just as valuable. To learn more about Cultural Conservation, please click here!